How secure is your POS system against the latest malware attacks? According to SC Magazine, a new point of sale breach has been discovered, highlighting the increasing need for security and stability in POS systems. The malware threat, identified as GamaPoS , is being distributed in the U.S. and Canada using a phishing email scam containing macro-based malware attachments and links that are then opened on POS systems. Distributing these backdoor attacks, POS systems often don’t pick up on them until it’s too late. It has been found in a range of stores including electronics, restaurants and healthcare groups. The malware has also been found to have infected systems using scarping malware capabilities. Clerk limits and permissions: Only allow a certain number of employees to have access to higher-up store services and POS access. Every button and function touched by a VRP user requires permission for each user level. Internet awareness: Many POS scams have been known to originate on the internet. Be sure your system is secure from the inside out by eliminating email or internet use completely on the system. If the internet is necessary, ensure protections are in place. Pattern and use behavior: If something on the system seems amiss, be sure your business has a system that will detect changes that may be malware or another type of attack. In addition, this can also help eliminate in-store losses completed by employees. 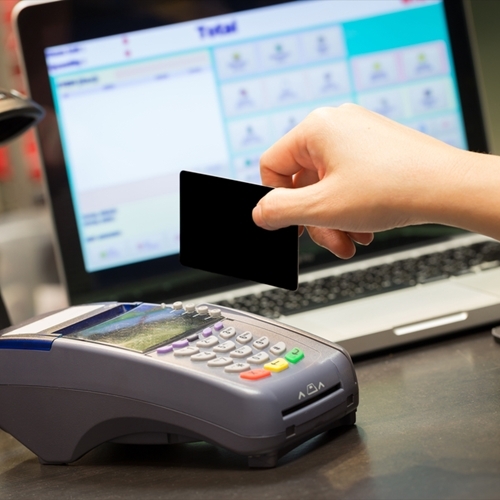 Another important factor to keep in mind when deciding on a POS system is PCI compliance. Visual Retail Plus has a range of security features available to protect your business information, including some mentioned above. To learn more, visit our website.